The first loan originator from Armenia has just joined Mintos! Varks.am is one of the leading alternative lending companies in the country and now offers short-term consumer loans for investment on the Mintos marketplace. Loans from Varks.am are listed in euro (EUR) with expected returns of 13%. Established in 2016, Varks.am is a universal credit organisation that offers its customers fast and easy access to funds through an effective application process. Clients can receive their loan from the company in cash after applying at one of the 30 branches the company has across Armenia. Varks.am has more than 180 qualified and dedicated employees and a reliable client identification process which involves meeting all clients in person. Currently, Varks.am offers consumer loans, however, the company plans to expand the loan types issued to include business, pawnbroking and mortgage loans in the future. Armenia-issued short-term consumer loans on Mintos from Varks.am range from EUR 17 to 420. The average repayment is 30 days and borrowers repay the loan in a single instalment. You can expect a yearly return of up to 13%. All loans from Varks.am that are delinquent for 60 days will be secured with a buyback guarantee by its parent company. In addition, Varks.am will keep 10% of all loans placed on Mintos on its balance sheet – to ensure its interests are aligned with those of investors. “We are truly excited to add Varks.am to the marketplace. 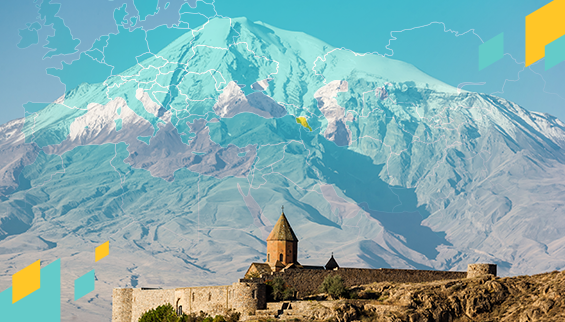 Armenia is the 20th country on the marketplace and we are pleased to offer our investors the opportunity to invest in short-term consumer loans in a new geography,” says Martins Sulte, CEO and co-founder of Mintos. Varks.am is a licensed financial institution that is governed by the Central Bank of Armenia. As of December 31, 2017 the company had a net loan portfolio of more than EUR 6.5 million. The company is steadily growing its customer base and its priority is to maintain a balanced growth through special offers whilst also focusing on its loyal customers. The average customer of Varks.am is a 26 to 30-year-old male who is seeking a loan to cover unexpected expenses and make small purchases. Clients appreciate that Varks.am has many branches throughout Armenia, so a branch is never too far away. The company serves its clients very quickly and effectively, creating convenient lending conditions for its customers. To obtain exposure to Varks.am loans, investors will be able to invest in loans issued by Mintos OU to Varks.am, where repayments depend on the final borrower’s payments. Each loan issued by Mintos OU to Varks.am will be pegged to a respective loan issued by Varks.am to the final borrower. Mintos OU is a Mintos group company. A detailed description of the new structure is available in the Mintos OU loan agreement and assignment agreement. Enjoy this opportunity to invest in a new country on Mintos with Varks.am short-term consumer loans. If you use Auto Invest, don’t forget to update your settings accordingly.